Located just 4 kilometers from The Raintree Hotels, Kapaleeshwarar is one of the most visited temples in Chennai as well as the oldest. It was originally built in the 7th century. However, the current structure dates back to the 1500s. Kapaleeshwarar is home to a wide variety of carvings and sculptures that shed light on Hindu myths. On the street outside the temple, you'll discover shops where you can purchase sweets, flowers, and incense as offerings to the deity, Shiva. Daily: 6.00 a.m. to 1.00 p.m. & 4.00 p.m. to 8.00 p.m. 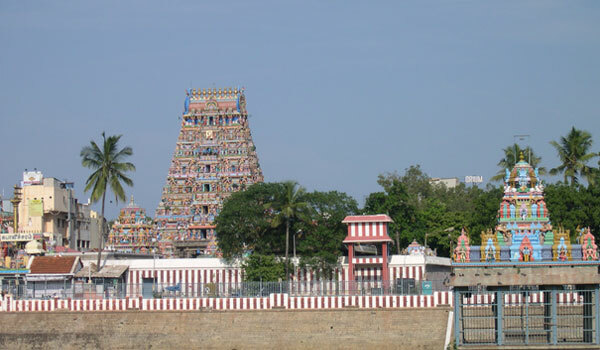 There most definitely is as Kapaleeshwarar Temple is a religious site. You must be dressed in clothes that cover your entire body. That means no shorts, short skirts or short-sleeved shirts. Are there any Things that are prohibited? Several restrictions are enforced. You cannot wear shoes when you are walking through Kapaleeshwarar Temple. In addition, you are not permitted to smoke or take photographs while inside.